From the National Mall to Alexandria to Baltimore, there's plenty of places to see fireworks on the Fourth. Take note if you plan on going to Joint Base Myer-Henderson Hall for the fireworks show -- an area around the base will be off limit to the public. The former Navy Annex, located around Joint Base Myer-Henderson Hall, is now restricted land and will not be open to the public. The public will still be allowed to come onto the base and view the fireworks from Whipple Field. Gates will open after 5 p.m. Water and soft drinks will be available for purchase. The Department of Defense and Arlington County signed deals to transfer the land around Joint Base Myer-Henderson Hall to the U.S. Army; it will now be used by Arlington National Cemetery. This includes the site of the former Navy Annex on Southgate Road and the land bordered by Columbia Pike to the north, and Washington Boulevard and I-395 to the south. More details can be found on the Army's website here. Road closures in the area will be in effect around the Fort Myer and Henderson Hall portions of the base, which could cause problems for transportation in the wider area on July 4. More details can be found on the base's Facebook page. There are many locations for viewing the fireworks in the area. 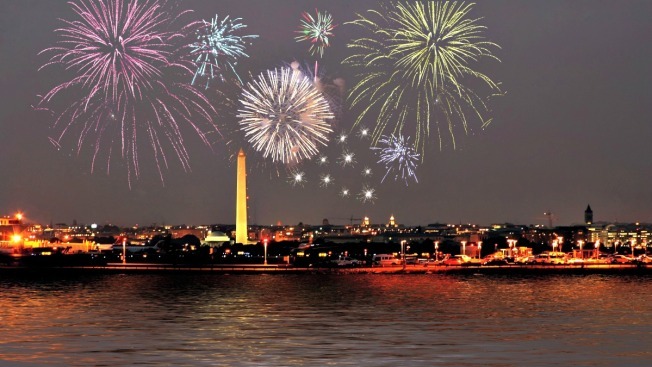 Check out our DMV Fireworks Finder 2014.